This isn’t the moment we remember, however. With Unwritten, we wanted to create a show which reflected disability history, but also the lived experience of disability in modern-day Scotland. Disability heritage is often, sadly, a history of obscurity, and one of our stated outcomes was for participants to gain a deeper sense of their heritage and identity as part of Scotland’s story. 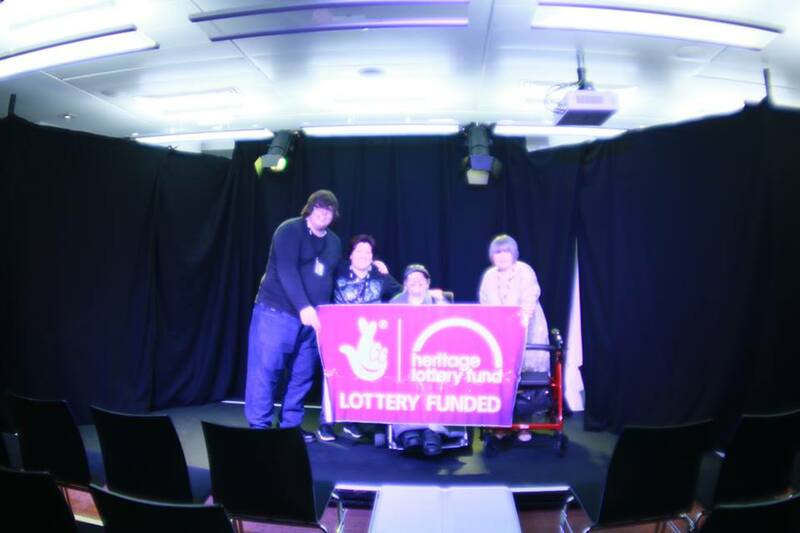 ‘Participants’ meant performers, volunteers but the feedback we received from many who saw the show (particularly the audience member in the above story) showed us that by sharing our own individual stories, as part of a wider heritage of disabled people, we drew in others to engage with, and once again participate, in that heritage. For all of the enjoyment and personal satisfaction we gained from staging the show, and its benefit to DHS as an organisation, it is clear to us that this encouragement to engage with disability history will be Unwritten’s lasting legacy. Find out more about the making of the Unwritten, from the initial idea through the research, writing, and rehearsal stages, to the finished show performed at Surgeon’s Hall during the Edinburgh Festival Fringe 2017.